Amal and George Clooney were spotted cruising around the island of Sardinia on a scooter over the weekend, and they made for the most stylish tourists around. George was at the wheel of the Yamaha wearing a crisp button-down shirt and his go-to light blue jeans, while Amal held onto his waist wearing a sleeveless white top, striped shorts and brown lace-up sandals. Keeping safety in mind, they both chose to wear helmets, too. Before the season gets into full swing, they’ll celebrate their twins’s birthday on June 6. Ella and Alexander will turn one. Nati!!! I can’t wait what you post about the AFI speech of Amal’s for George! Swoon time. How incredibly lovely to have her talk about him the way she did in public. It’s so nice that its so impactful as its so rare that she takes to the stage as she hardly even acknowledges their relationship on the red carpet for privacy. So, in love! I love them so much- They exude true love . What a great couple. Just saw a video of Amal and George being interviewed on the red carpet at AFI. God, she’s flipping her hair and looking off so bored, to see if anyone more interesting is around. So rude, damn. A dose of celebrity and she is actling like such a Grade A bish, along with the Tom Ford diva antics. Why do women tell young girls look up to her? She puts on airs, seems so high on herself – raising her nose up in the air and so smug. Why do we tell young girls to look up to this celebrity and image-obsessed faux legal unicorn? What happened to humility and quiet grace? She’s all about finding a camera and flipping her hair. Gross. She presented a ‘perfect’ picture of a supportive and adoring Hollywood wife. Did you know she wished to be a model? I bet she’s living out a dream of being a Hollywood actress star. On the red carpets in Cannes and Hollywood. Nothing in life is perfect … nothing. Reality- I think you got confused. Your post belongs on Daily Mail, not here. Nati, I hope you post this one. 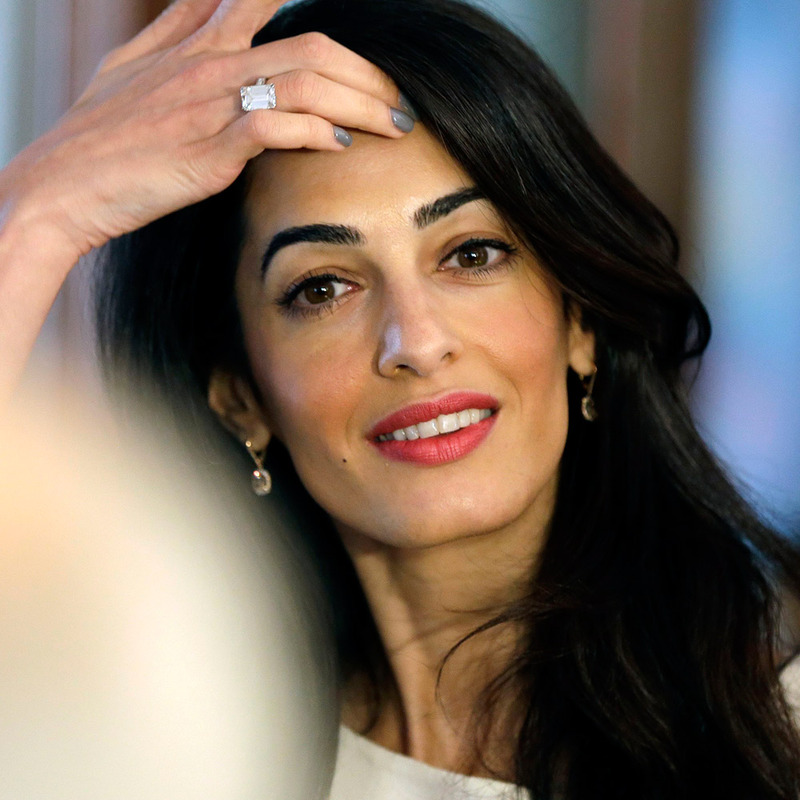 Maybe notify Amal’s camp that there is a very unstable fan who frequents your website. You can do an ISP look up and see where Jackson is located, or he may do a geo-ping. He’s very very unstable, and can not accept reality, as his posts are creepy, devotional to Amal. Amal is once again getting too thin. Look at the photos showing her arms. Normally, I’m a fan of people staying slim, but she is looking skeletal. A little more meat on her bones would actually make her look better. I’m surprised no one has commented about the shoes she is wearing. I do not know the requirements in Italy, but in the US you need to wear sturdy shoes for riding on a motorcycle or scooter. But she is wearing a helmet so that is a plus. how much he loves her . The kids and Amal are the most important things in his life, I loved when he said in his speech how she made every day as special as that night. Long may they have a happy and loving marriage. Does anyone know the specific braided sandals she is wearing here?? I really like them a lot.. and the pair you offered as ‘similar’ does not do them justice.. at all.